The University of the South Pacific Students Association will be holding a consultation this week with students under the Faculty of Business and Economics to discuss challenges they may be facing. This comes as there are 50 vacant teaching positions and the USPSA is working to find out how students are coping with the temporary fix implemented by the University. 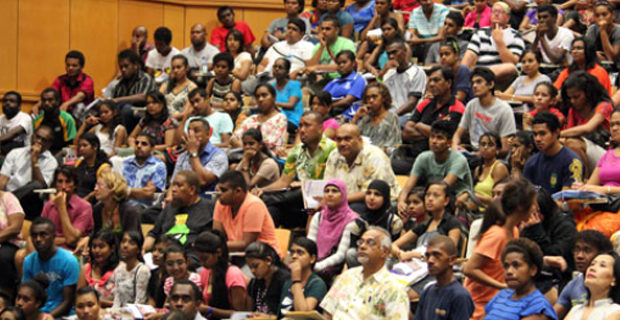 USP Dean of the Faculty of Business and Economics, Professor Arvind Patel earlier revealed that there are currently over 4,000 students studying in various schools under the faculty. Professor Patel adds that USP employs a number of consultants to teach on a temporary basis to fill in the gap with an effort to deliver the curriculum and ensuring that quality of the education delivered to the students is not compromised. USP is looking to conduct an international recruitment campaign in Australia and the UK to permanently fill the 50 positions.